Whether you are a first-time community fundraiser or a seasoned fundraising pro, you likely have questions about the logistics, processes, and how to make your event a smashing success! Below is a list of frequently asked questions from community fundraisers like you. If you have your fundraiser idea and are ready to begin, fill out this form to get started. Will staff at Brigham and Women’s Hospital (BWH) help me promote my fundraiser? Yes. As soon as you set up your fundraiser, we are happy to help promote your event to the BWH and BWFH communities. We’ll link your fundraiser from the Community Fundraising (CF) website and, where appropriate, promote your fundraiser through social media and other hospital communications. You will also have access to the online Community Events toolbox which contains a wealth of helpful information that can make your event a success—sample communications, CF program logos, tips for organizing your fundraiser, instructions for setting up your online fundraising page, how to leverage social media, and much more. Can I raise funds for Brigham and Women’s Faulkner Hospital (BWFH)? Yes. We encourage community fundraising events that support BWFH. The Community Events toolbox contains a BWFH logo and other important resources. Who will help me manage my fundraising event? Our events staff will provide advice and guidance. However, we are unable to actually plan or manage your fundraiser. We recommend you form a committee of friends, family members, and others to help you plan and execute your fundraiser. May I use the BWH name and logo to promote my fundraiser? Yes. Once the Community Fundraising team has approved your fundraiser, you may use the BWH Community Fundraising graphic identity in your communications. Prior to use, all materials that include the graphic identity must be reviewed by the Community Fundraising team. Will BWH cover my expenses? No. Event organizers are responsible for covering all expenses for their fundraisers and will not be reimbursed. 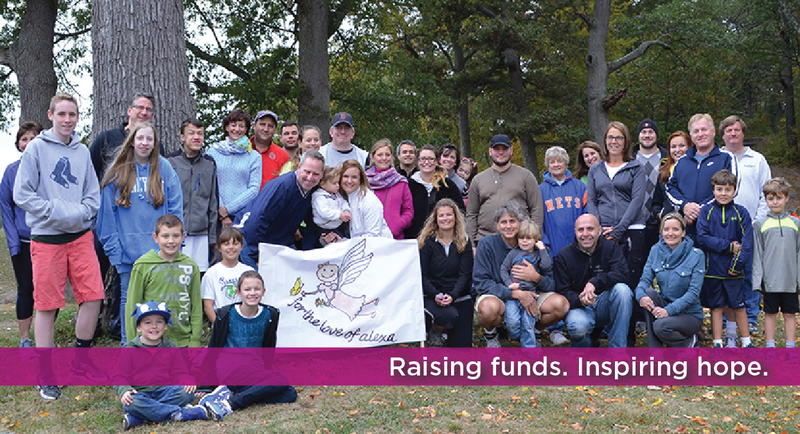 You can deduct costs associated with your fundraiser prior to submitting the proceeds to BWH. May I use BWH tax-exempt numbers to purchase materials for my fundraiser? No. We cannot authorize use of our tax-exempt number for community fundraisers to make purchases for their fundraising program. However, if a business is making a donation and would like the tax-exempt number for tax purposes or to verify the tax status of BWH=, we will provide the tax identification number to the business upon request. Will BWH share a list of supporters for me to reach out to? Can someone from BWH attend or speak at my fundraiser? We can facilitate invitations to BWH physicians and/or staff, but due to their varied schedules and hospital commitments, we cannot guarantee participation. Will BWH solicit corporate sponsors for my fundraiser? No. We cannot solicit corporate sponsors (or celebrity endorsements) for your fundraiser. However, we share best practices for obtaining sponsors and setting sponsorship levels. How do I collect donations and submit the money raised through my fundraiser? (1) Online: The easiest, most secure, and fastest way to collect donations is through your personal fundraising page on CrowdRise, an online fundraising platform. Once you set up a CrowdRise page, send the link to your supporters and they can use their credit cards to give online. Donations will be posted to your page in real time. (3) Cash: Please do not mail cash. Instead, we ask you to send a cashier’s check or deliver cash in person to the BWH Development Office. Will BWH provide letters and receipts to my supporters? Yes. BWH will issue acknowledgement letters containing IRS-compliant, charitable tax receipts for gifts made payable directly to Brigham and Women’s Hospital. Please note: We are unable to provide tax receipts for any gifts or contributions that are not received or made payable directly to Brigham and Women’s Hospital. How can matching gifts increase donations to my fundraiser? Many companies match charitable gifts made by their employees. Remind your supporters to consult with their company’s human resources department to learn how the company matches charitable. For more information about starting a community fundraiser, please contact Adrienne Ross at bwhcommunity@partners.org or 617-424-4318.